I’m doing a guest post for Amylouwho today. 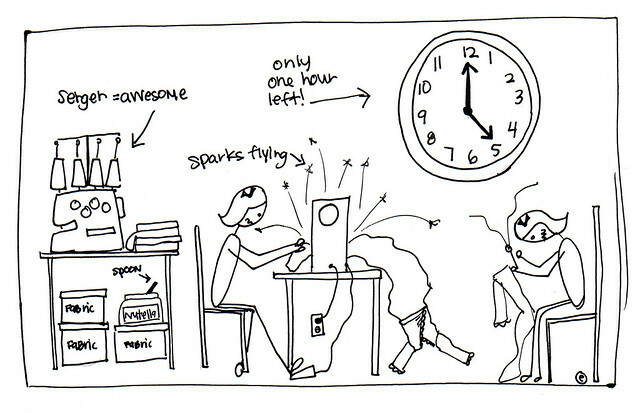 You can see the rest of my amazing stick figure drawings and read about Dress Drama 2010 right here. Have a good weekend! I loved your tale. You are awesome. You are too cute! Love your mad drawing skills and you know how to tell a great story! Nicely done! My favorite was the calendar. hahahaha… I just love the spoon in the Nutella. Well, I love it all, really.